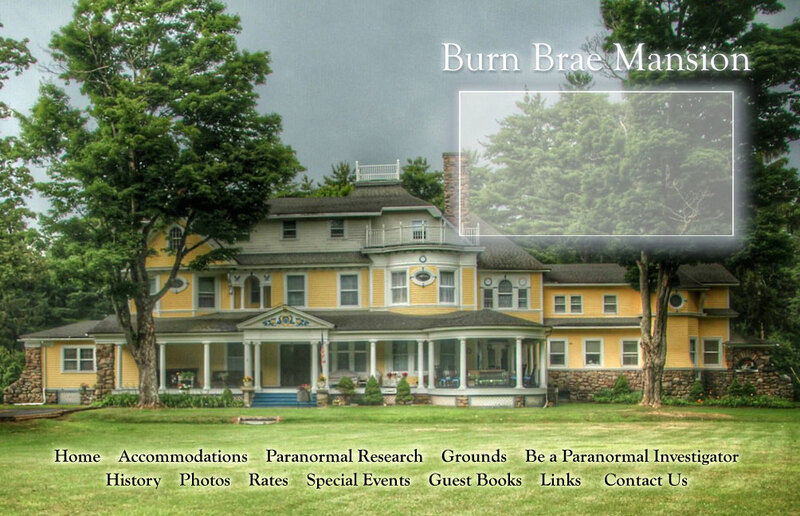 Spending the night at Burn Brae Mansion is a unique and memorable experience for all ages and interests. Packages include a home-cooked dinner and full breakfast including fresh-baked bread and eggs from our own chickens. Overnight guests are also invited to take a guided tour of the mansion, including the Attic of Curiosities. Tours are exclusive to our overnight guests. The Inn is BYOB. There are accommodations available in either the Mansion, open year-round, or the Stables Motel, open April through December. The Singer Suite sits atop a magnificent spiral staircase and boasts three beautifully decorated bedrooms, one with an adjoining bath, off a private hallway, with two recently renovated bathrooms at either end. A splendid Victorian sitting room is shared by guests of the suite and can either be locked off or opened to include guests of the MacKenzie Suite for groups traveling together. The MacKenzie Suite is accessible from the grand staircase in the heart of the house and features three bedrooms and one bath on two levels. A spectacular master bedroom overlooks the front yard through original stained glass windows with two quaint bedrooms on the third floor, and a newly renovated Victorian bath at the foot of the carved staircase. The Stables Motel, a 12-room motor lodge that was converted from the original stables, features accommodations for two, three or four guests per room, each with private bath and country decor.